The energetic all-over print decorates the little girl's T-shirt, sporty and full of character. 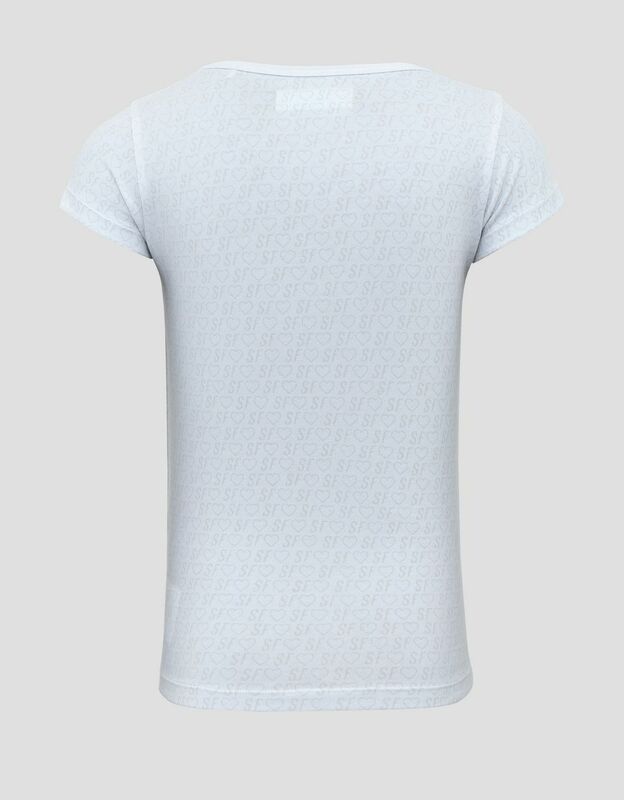 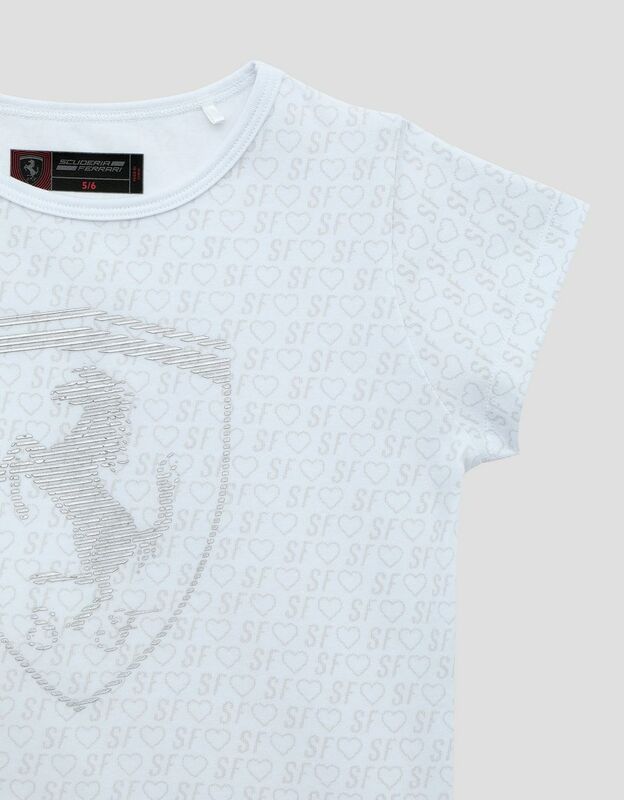 The Ferrari Shield print, created with thin diagonal lines in silver relief on the upper part and with horizontal stripes on the lower one, stands out at the centre of the new Scuderia Ferrari T-shirt for young fans. 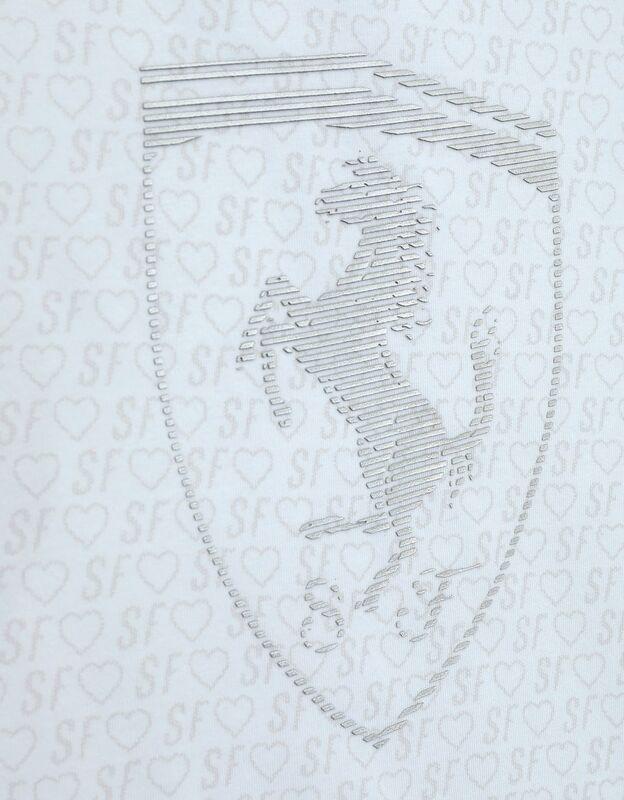 The SF logo in dévoré print characterises the whole garment, creating a powerful graphic effect. 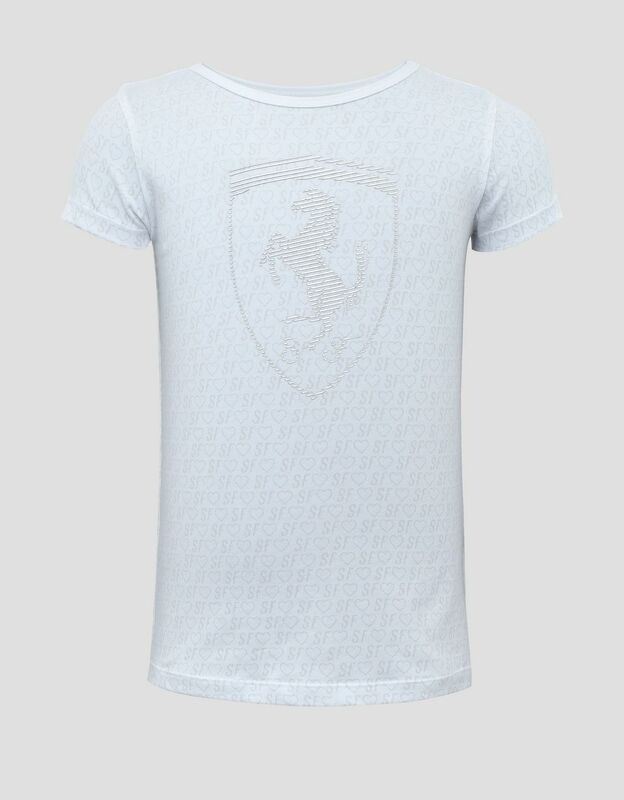 The Scuderia Ferrari T-shirt is ideal for combining with joggers or leggings, and adds a feminine but bold touch to a sporty look.